Get ready for school with this great resource for running centers in your classroom! 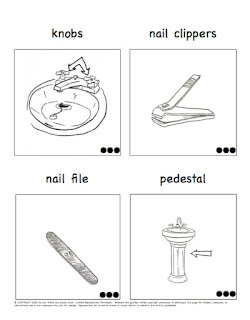 From concept to initiation, Learning Centers Made Simple! offers specific, “teacher- tested” ideas and “how-to” instructions to put together literacy and math centers you and your students will find stimulating and enjoyable. This comprehensive 95-page teacher’s resource book is a step by step guide to creating fun, effective math and literacy centers for your classroom. Click here to download the first 10 pages! Includes Questions and Answers teachers have about centers. 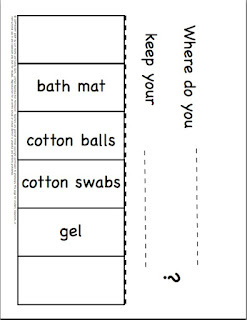 The how to’s and printables you will need to organize literacy center activities, create a daily schedule and a daily center schedule and 4 great printable centers to get you started. This section offers you the routines and procedures you will need to have in place for a stress free literacy center classroom. Includes printable rotation and signal ideas and much more! 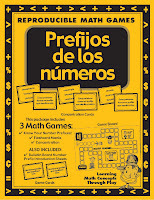 This section has detailed instructions and printables for a multitude of literacy and math centers in both English and Spanish. It has all you need to get your centers into action. 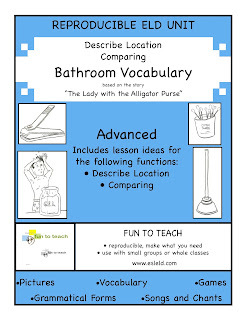 Learning Centers Made Simple – Literacy and Math Centers in English and Spanish focuses on using materials from thematic units that connect to reading, writing, and math centers. Find out how to establish, organize and effectively use literacy and math centers with the innovative suggestions, practical tips, and printables in this great book. 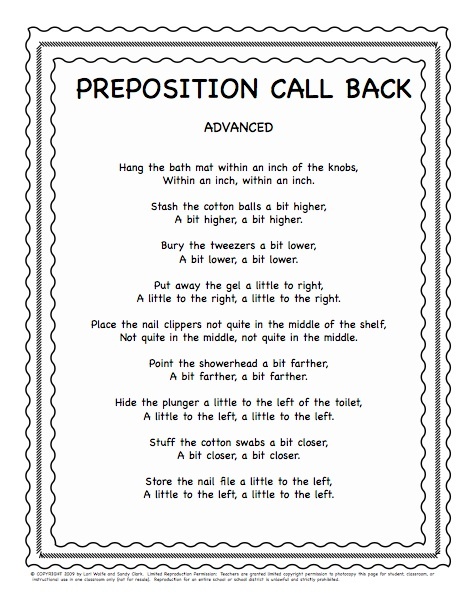 A straight forward and simple “how to” book that guides the teacher through the planning and implementing of literacy and math centers with a thematic unit base in their primary classroom. 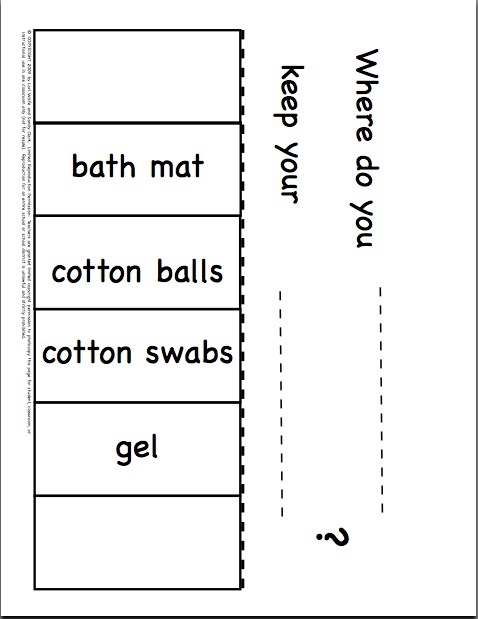 Get started with centers in your classroom today! 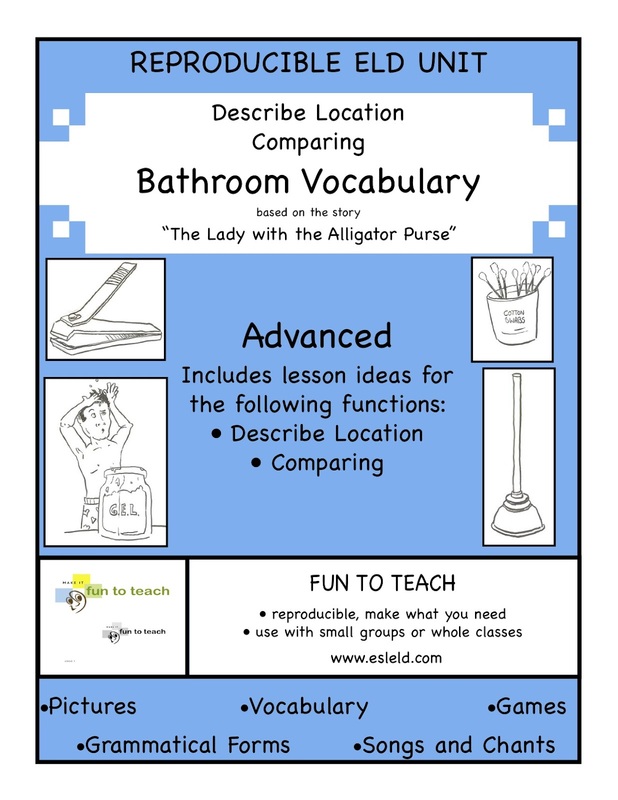 Bathroom Vocabulary Freebie for you! Last weekend as I was searching for graphic organizers and got lost in all that Scholastic had! • What's the Main Idea? 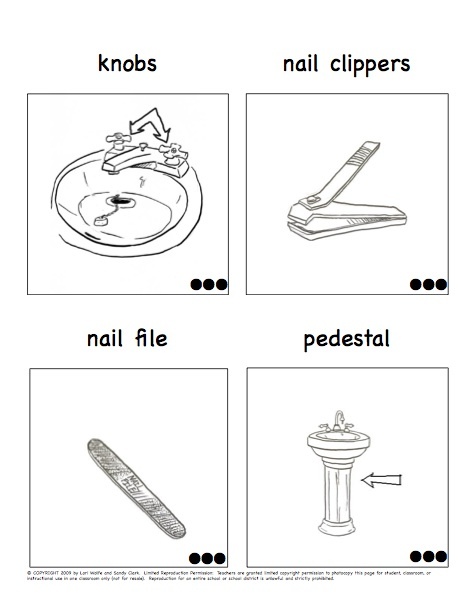 I was looking for a variety of graphic organizers over the weekend and stumbled upon Thinkport. 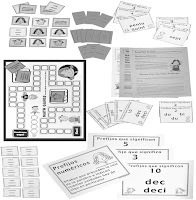 They offer a collection of graphic organizers that you can integrate into activities and lesson plans or use by themselves. PDF which is viewable with the free Adobe Acrobat Reader. Ms Jessica over at A Turn To Learn has done it again. 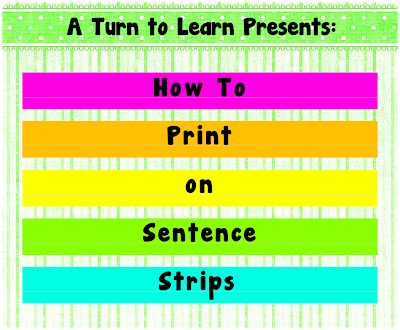 Click on over to see how to print on sentence strips. Polka Dots & Pencils: 100 FOLLOWER GIVEAWAY!!! Lot's of freebies here! 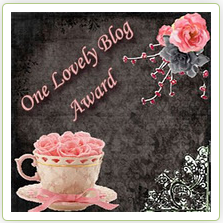 Click on over to Lacie's blog and enter this great contest! ToonDoo is a fun way to make your own cartoons! 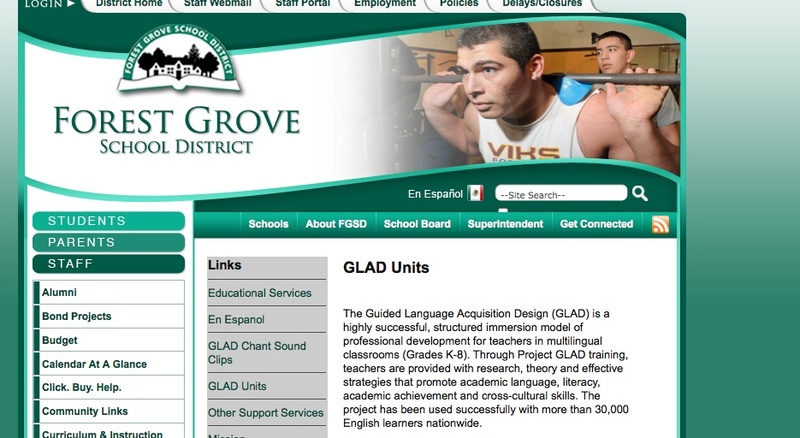 Forest Grove School District in Oregon is a great resource. Their webiste is packed with ready made goodies for you. 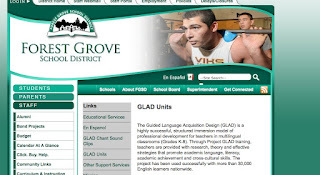 The Guided Language Acquisition Design (GLAD) is a highly successful, structured immersion model of professional development for teachers in multilingual classrooms (Grades K-8). Through Project GLAD training, teachers are provided with research, theory and effective strategies that promote academic language, literacy, academic achievement and cross-cultural skills. 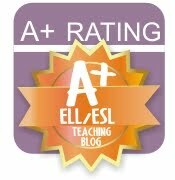 The project has been used successfully with more than 30,000 English learners nationwide.